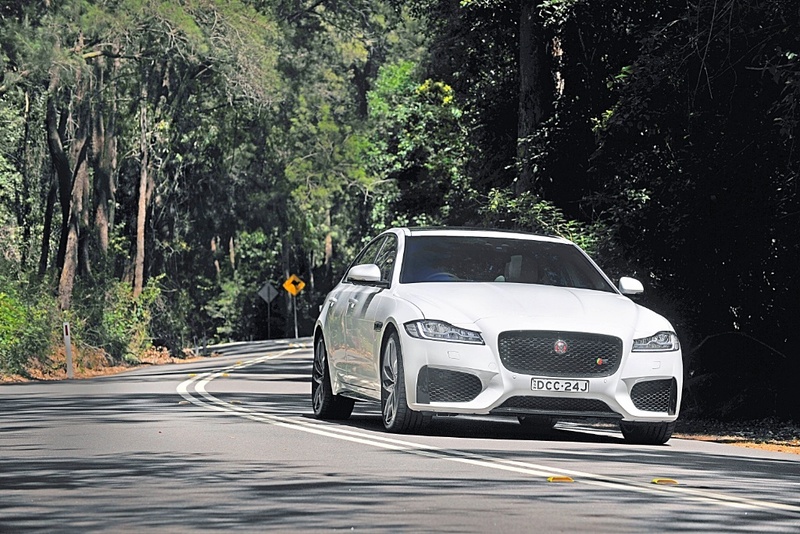 drivingandlife: JAGUAR XF S - 'S' STANDS FOR SUPERB! Deep in the primieval, sub-tropical forests close to where I live we swish past spotted gums, bottle brush, a huge variety of eucalyptus trees, and the very ancient cicad ferns and other remnants of the volcanic birth of this beautiful, mountainous landscape. Swishing is the most appropriate term I can use to describe my recent test drive of the 2016 Jaguar XF S sedan. The power, pointing ability and agility of this latest Jaguar is just a sheer delight. The XF S dives into tight corners, and a combination of its clever vectoring software, light weight, and near 50-50 balance means you hit the apex on cue, and groove out the exit, pressuring the supercharged 3.0L V6 to come on song and ‘swish’ you into the next tight challenge. When you emerge after descending the mountain onto the flat, open highway the pleasure continues as you wind up the pace and sit there with a smile on your face. The XF S is a beautifully composed machine which provides a scintillating driving experience courtesy of some of the cleverest engineers around. Mike Cross and his mates in the dynamics department at Jaguar have superbly refined what is essentially a passive suspension, plus electronic damping control. They’ve done a superb job. 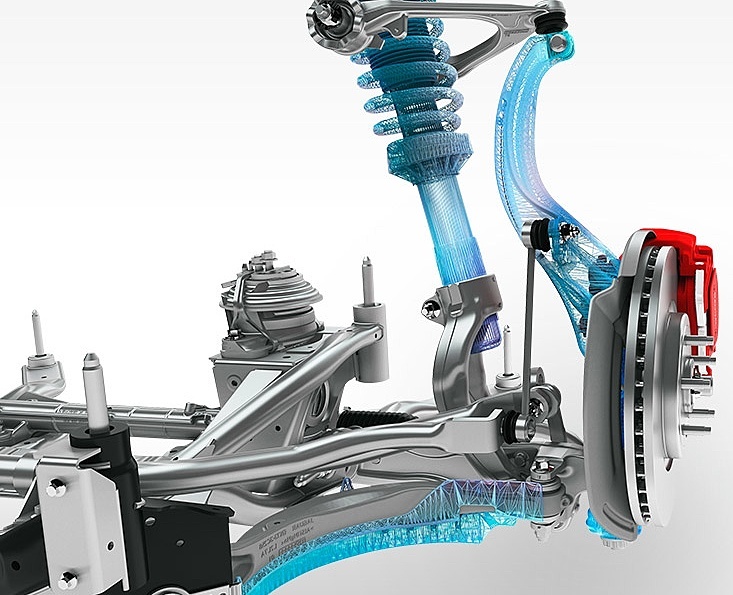 The double wishbone front suspension, and rear integral link design sounds almost too simple a way to describe how the results stack up, on the road. Being an old Jaguar hand, plus many hundreds of kilometres road-testing Jaguars from the 1968 XJ, through to the 1986 XJ-40 as an auto journalist, I have always admired the quality of the ride and handling of the cats from Coventry. Jaguars have always been famous for outstanding primary and secondary ride characteristics, thanks to the skill of its engineers and outstanding basic design. However, the achievements the engineers have delivered with this latest XF range are exemplary. The new XF is 4954mm long, and height is 1465mm. The new car is 7mm shorter and 3mm lower. Passenger comfort is said to be helped by the new XF’s longer wheelbase, which now measures 2960mm, making it 51mm longer than the first generation. (Here is a reprint of an interview with The Automotive Engineer magazine). 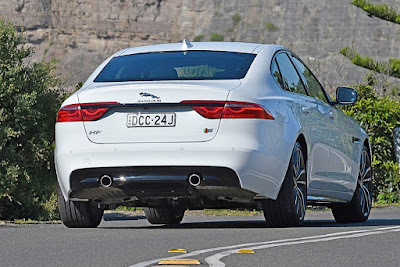 “The XE/XF has a new modular suspension architecture with double wishbone front suspension and an integral end rear suspension. This is the first of its type in the D-segment and something our competitors only utilise on cars in the segment above. “The advantage of the integral link over a generic multi-link suspension is it separates out the lateral and longitudinal forces from the vertical. The link also allows us to have softer suspension bushes: the bushes on the XE/XF are around 30% softer than our competitors. 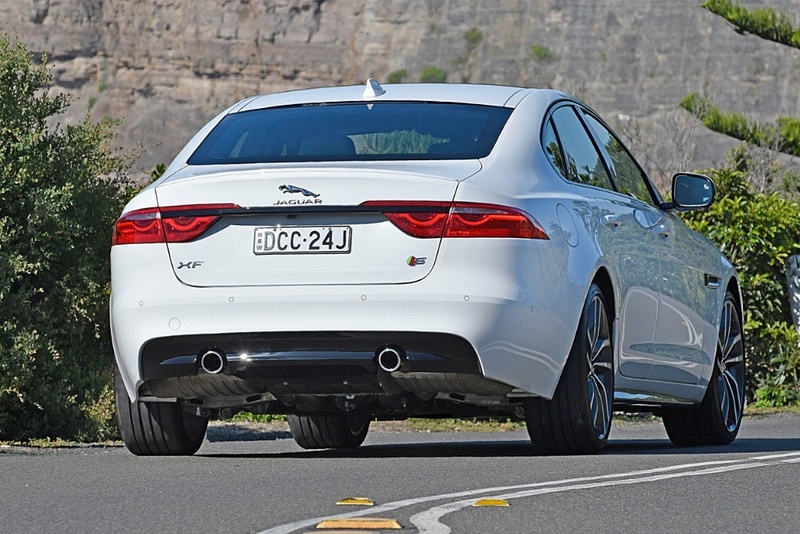 “The XE is available with both passive and active damping systems. Passive suspension is a classic arrangement of coil over dampers on the front, and a coil spring and damper separated on the rear. “We’ve utilised new springs, which have a lighter, thinner material for further weight saving. They’re a dual-rated spring, meaning the initial travel is softer for a comfortable luxury ride, but as the spring compresses, the rate increases, delivers sports car like body handling. “We also have a new Tenneco lightweight premium damper, which delivers high performance and saves weight at the same time. For the adaptive system, we have Bilstein dampers. These are the best of both worlds, with firm response when driving briskly, and a more comfortable ride when not. "The new passive dampers enable frequency-dependent damping – the ability to vary damping force not only with the velocity that the damper piston moves at, but also as a function of its frequency. "In the XF active system an extra valve in the piston provides an additional bypass. At road speeds typical of town driving, the valve is open, allowing some fluid to flow through it instead of the main valve in the piston. With increasing speed the valve closes, forcing all of the fluid to pass through the piston: damping force increases and the ride becomes firmer. “One of the headlines for the Jaguar XE/XF is the introduction of electronic power assisted steering – it's a motor on the rack ZF system – a first for Jaguar. “One of the early problems with electronic power assisted steering was the friction in the internal gears, and we’ve introduced an entirely new system, which is able to compensate for that friction. It understands what the driver is demanding, and ensures that it delivers the appropriate output. “It’s also able to serve in hot-cold temperature and ensure that the delivery is consistent whatever the climate, and it also helps with economy. Because there’s no hydraulic pump on the engine, it’s able to deliver CO2 cuts of 3% on the gasoline engines, and 2% on the diesels. 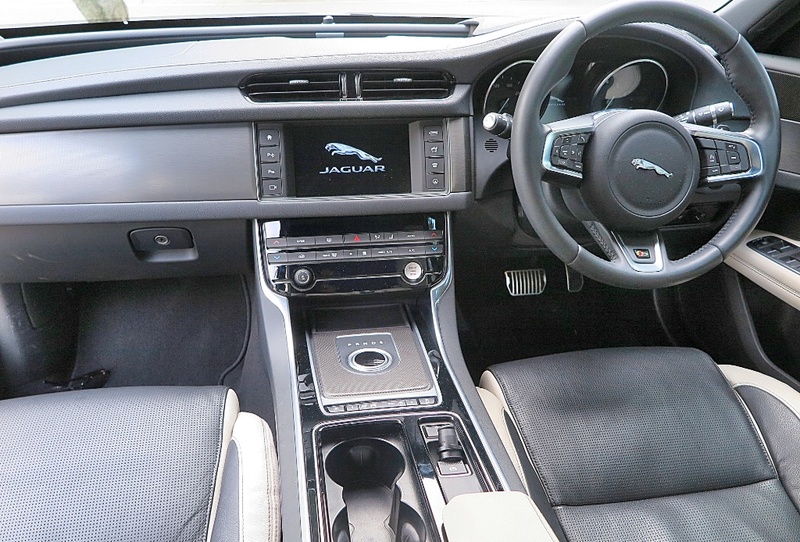 “Assistance varies with speed, allowing greater assistance at parking efforts, and it also adapts to the profile selected by the driver, on the Jaguar drive control system. Additionally, we were able to employ variable damping, so the appropriate response is given to a brisk input on a spirited drive, or a relaxed motorway cruise. “When we developed the electronic power steering, we found it was small things that made a big difference. We’ve implemented soft lock stops, so as you reach the limits of travel on the steering, rather than the traditional harsh stop of metal on metal, you will feel a cushioned response, generated from the electronic control. “We also have drift compensation, which helps to counteract the car’s natural tendency to follow the camber of the road. This ensures the car will track true and straight, even if the driver doesn’t. “A new feature for Jaguar is all surface progress control. An all new traction control technology designed to help the driver pull away on slippery surfaces and make the most of the grip that’s available. “We’ve developed new techniques for tackling noise, vibration and harshness, and tailored these to the architecture. “Firstly, we produced the stiffest, most lightweight body structure, and suspension components have been optimised for reduced NVH. The new XF is 28% stiffer and 11% lighter than the previous model. NOTE: Most of the structural components are joined by Australian-designed and developed aluminium self-piercing rivets, and high-strength adhesives. 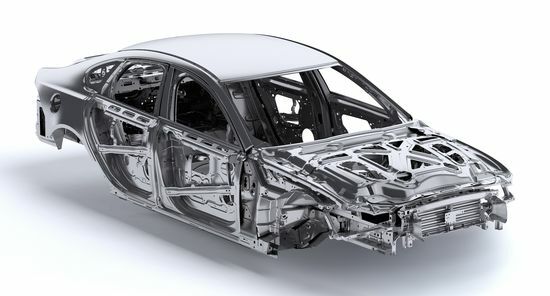 During my telephone interview with Ian Callum, he pointed out that although Jaguar used mostly aluminium for the body structure, there are many uses of lightweight steel to assist in balancing the weight distribution. For example, the spare wheel well in the trunk is made of steel. This ensures the weight balance of the XF is very close to 50/50, making a huge difference in the handling response, and further improving the driving pleasure. The XF S is powered by the (280kW) AJ126 engine, a 90 degree V6 derived from Jaguar’s superb AJ-V8 engine, first introduced in 1997. 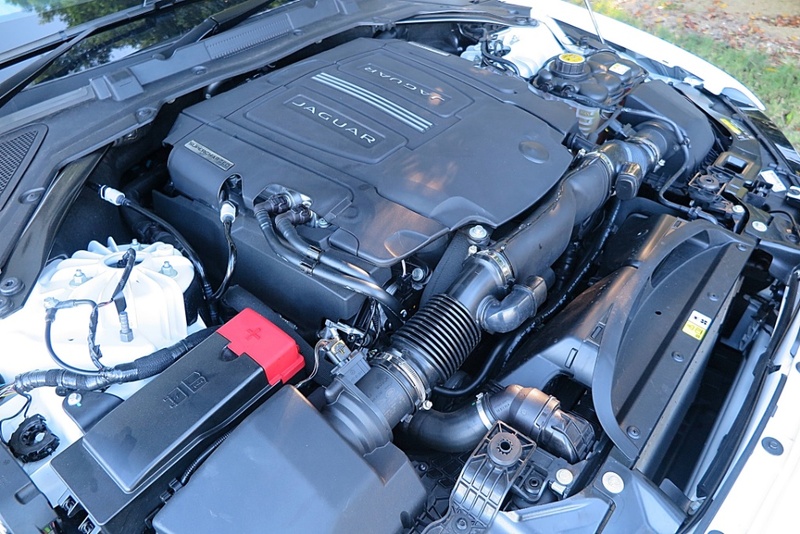 Whilst 90 degrees is not the optimal arrangement for a V6, Jaguar has achieved excellent smoothness and power delivery thanks to Bosch high pressure fuel injection, lightweight alloy construction and the location of the supercharger inside the ‘V’ of the engine. Fuel economy on my drive was 8.8 L/100km. Given my deep personal links to Jaguar, you’ll have to forgive my glowing assessment of this car, but I invite you to read what many others have said after testing the latest XF. 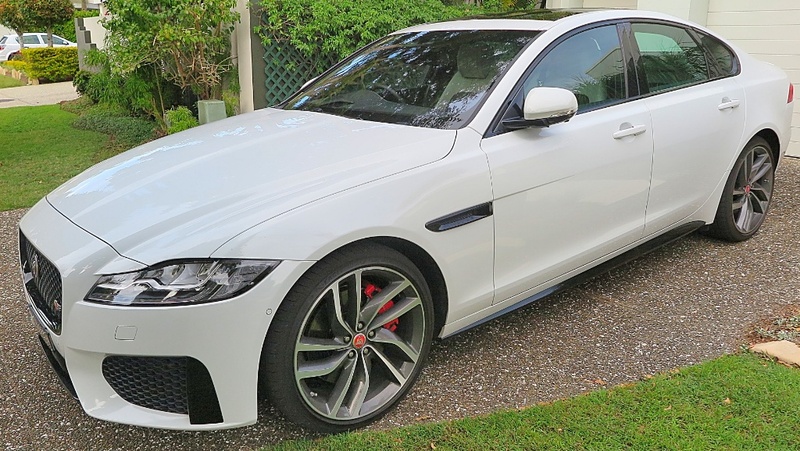 It is a joy to drive and as an indicator of Jaguar’s progress into the heart of the D-segment sports sedan market, it is an outstanding and impressive car. I would go so far as to say it’s SUPERB!